Our country does not have a good track record for treating the mentally ill. North America’s first public mental health hospital opened in 1773 in Williamsburg, VA. Named the Public Hospital for Persons of Insane and Disordered Minds. The treatments given were nothing short of torture. One procedure involved submerging patients in ice baths until they lost consciousness. One means of expelling the illness from the patient included inducing vomiting. And, of course, there was bleeding. Bleeding was common, at that time, for treating many types of ailments, but unfortunately, in the mental institutions, this inhumane practice normally resulted in death. Although the colonial era’s methods of handling the mentally ill are considered barbaric by today’s standards, most people were content because the mentally ill were out of sight. Not much changed for over 50 years, until one woman helped to make sweeping changes across the nation. Born in 1802, Dorothea Dix was the first child of an impoverished family. Her father was a Methodist preacher who was an abusive alcoholic. Her mother struggled with depression and suffered from acute headaches. As a distributor of religious pamphlets promoting a hellfire and brimstone theology, her father continually moved his family from place to place. As a child Dorothea was required to stitch and paste the small pamphlets together for long hours. Feeling abused she ran away when she was 12 to live with her grandmother in Boston. In 1841, at the age of 39, Dorothea was asked to lead a Bible Study class for women at the Cambridge House of Corrections. It was here that she discovered that the mentally ill were unclothed, in chains, and were being thrown into prisons with criminals in unheated, unfurnished, and foul-smelling cells. When asked why the jail was in these conditions she was told, “those people were mentally ill and didn’t understand anyway” That became her defining moment and the cause to which she devoted nearly all of the remaining forty-six years of her life. She proceeded to visit other jails, and soon her investigations extended over the entire state of Massachusetts. She carefully prepared and took the case to the state legislature where she won support for the expansion of Worcester State Hospital. Once she had succeeded in Massachusetts, she traveled to other states and proceeded doing the same process. Although her health was poor, she managed to cover every state east of the Mississippi River. Before her death in 1887 she helped found 47 hospitals for the mentally ill. Their treatment methods at these hospitals were crude by today’s standards; but they were remarkable steps forward in the mid 1800’s. Upon her death, more institutions were built, and other advancements were made, especially in medicine, but no sweeping changes for the mentally ill would be seen for 80 years. In 1963 President Kennedy delivered a speech to Congress, where he proposed “…a national mental health program to assist in the inauguration of a wholly new emphasis and approach to care for the mentally ill….central to a new health program is comprehensive community care… …The states have depended on hospitals and homes…shamefully understaffed, overcrowded, unpleasant institutions from which death too often provided the only firm hope of release.” Deinstitutionalization drew enthusiastic support from fiscal conservatives interested in saving funds by shutting state hospitals. Civil rights advocates were enthusiastic because they believed that the mentally ill needed to be liberated. The Community Mental Health Centers Act was the last law President Kennedy signed before his assassination. Liberty unchecked can come at a heavy price. The federal grants promised to the states for community mental health clinics barely materialized. Deinstitutionalization, was/and is a well-intended disaster. 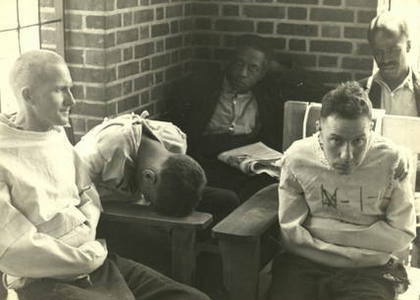 Many patients, in institutions, were released into the community. 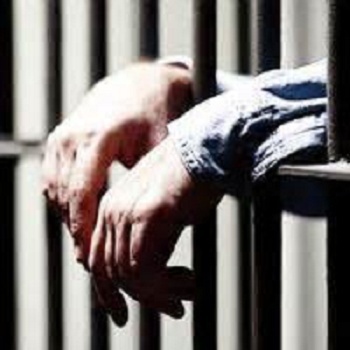 Today, there are three times more individuals with serious mental illness in jails and prisons than in hospitals. Los Angeles Sheriff Lee Baca once said, “I run the biggest mental hospital in the country.” The good works by Dorothea Dix have come full circle. In a May 12, 2004 issue of USA Today, Rep. Tim Murphy, R-Pa. states “We have replaced the hospital bed with the jail cell, the homeless shelter and the coffin. How is that compassionate?” Murphy is a child psychologist leading an effort to remodel the mental health system. A competing mental health bill has been introduced by Rep. Ron Barber, D-Ariz. A USA Today article compares the two bills. My concern is that these bills will fall victim to partisan politics and both will die in committee. The May 12th article stated nearly 40% of adults with “severe” mental illness — such as schizophrenia or bipolar disorder — received no treatment in the previous year, according to the 2012 National Survey on Drug Use and Health. Among adults with any mental illness, 60% were untreated. Suicide claims the lives of 38,000 Americans a year — more than car accidents, prostate cancer or homicides, according to the Centers for Disease Control and Prevention. About 90% of suicides are related to mental illness, says Thomas Insel, director of the National Institute of Mental Health. How many more people have to live in the streets? How many more have to die? How much more will it take before the American people decide enough is enough and demand mental illness be treated equally to other forms of illness? I don’t know how much it will take, but sadly, I don’t think we’re even close. Well done, Bradley! I was finally able to get onto your site, but it is still giving me problems. As I said, I don’t know if that is on my end or yours. This is such an important article — having worked in both the mental health system and the correctional system, I have seen all you mentioned and more. When I worked at the prison (it was a women’s prison), it was determined that OVER HALF of the women were diagnosed with some sort of mental illness and on medication to treat such. A lot of the problem with corrections is in aftercare, in that some don’t get it, either because they have not been educated about the need for it, poor funding for local community mental health centers, and of course, the fear of stigma. I can only imagine the things you’ve seen, Rose.